Storemore Europa Size 1: The Storemore Europa shed is a great outdoor building when space is limited with a footprint of 6’ x 3’. The Europa Size 1 shed is constructed using high quality, galvanised and polyamide coated steel that is both durable and practical. 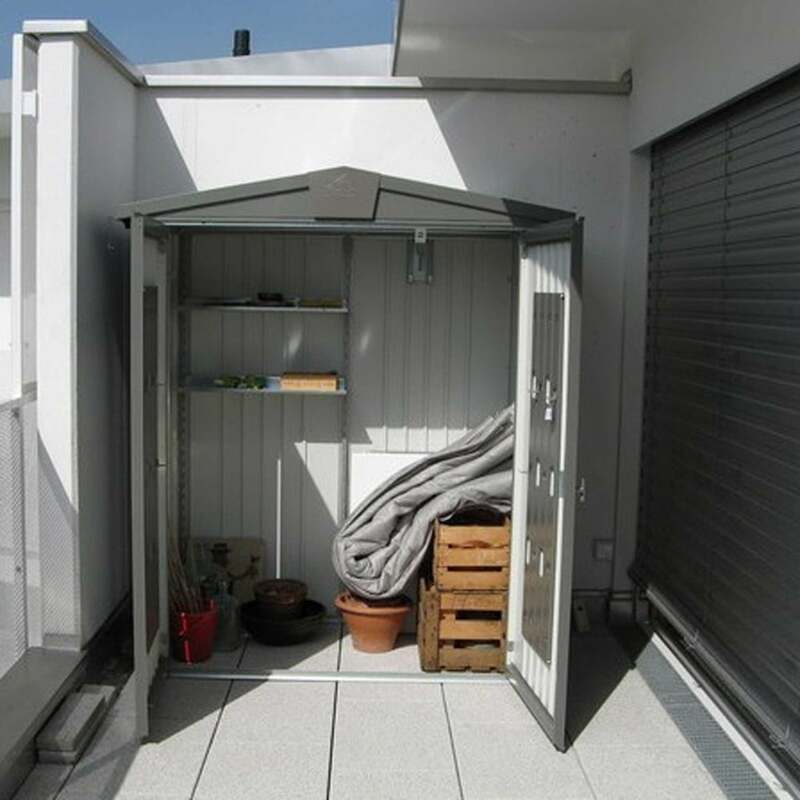 The Storemore metal shed comes with a shelf set, a tool hanger and a two way lock for security. The Europa shed is easy to erect with step by step instructions provided and also includes a 20 year manufacturer's warranty.